Here in the Midwest (US), we've been having some un-seasonally warm weather. I love it!! I've painted my toenails and brought out my flip-flops. It was so nice that when I came home after school yesterday, I grabbed my hook and a bag of yarn and sat outside to crochet. 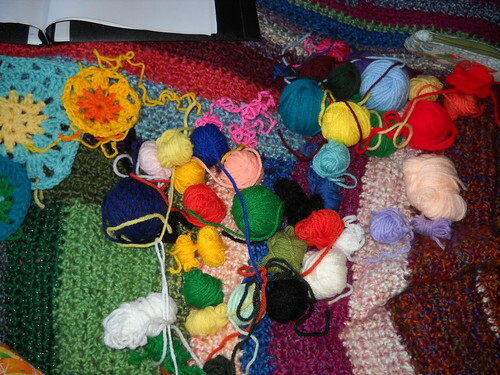 Afterwards, I came inside and dumped my scrap yarn bucket on my bed. I've really been trying to clean up these odds and ends, but hadnt figured out how to do that yet. I was inspired by Anne over at Building my Catholic Home to use up odds and ends by holding multiple strands of worsted acrylic together to make a basket. My scraps were a lot smaller than hers, so I haven't quite gotten as far (also, I've been getting better at using scraps... 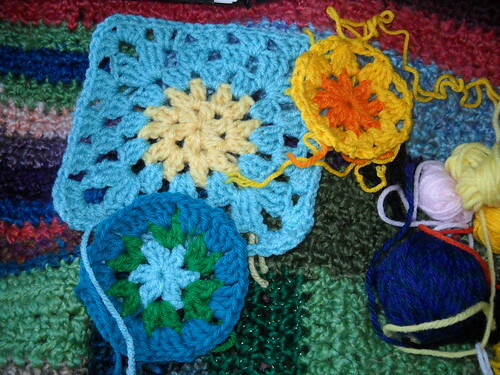 I think) So I've been working on that, as well as more squares for my Lenten blanket. I am sad to say that I haven't been doing as well on that, especially since school just decided to hit me in the face again, but I'm trying. It's halfway through Lent today, so I should have 20 squares. If I count my 6" squares individually, I'm right on track, but somehow I feel like that's cheating. However, you can see that I have been working on them. 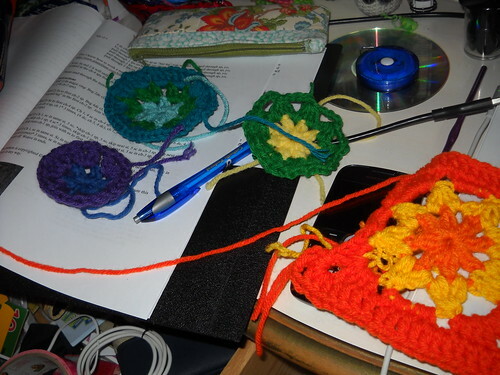 I should have more 12" squares to add to my pile soon- crochet is a good outlet after days in the classroom. 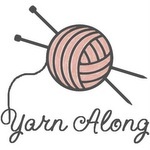 I'm linking up with Tricia's stash bash today!! 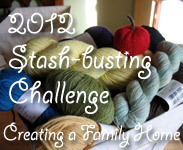 Let's see those stash piles disappear! Keep gping, your doing great!